Hi all! I'm in today to share my card for the Summer challenge at Scrapping4Fun challenges. Summer to me is all about flowers. Our sponsor for this challenge is Lemon Shortbread. 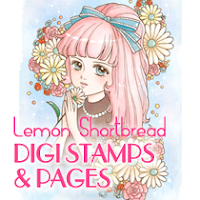 You can see the pretty flowery digi stamp I used here. I colored her using the Gelatos I won from my entry "Joyous Day" in the National Scrapbook Day Mixed Media challenge from Scrapbook.com. It was my first attempt using them, and they are fabulous. While I need a little more practice, I can see myself ordering more colors in the near future! 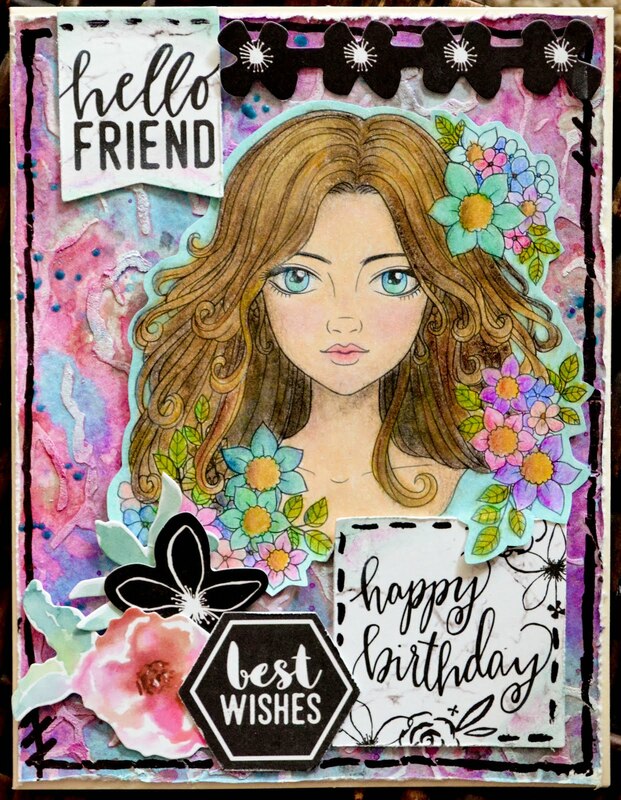 The background was created using the "Crackles" stencil from Fabrika Decoru, Prima's texture paste, various mists, and pearlescent watercolors. The die cuts are from Kaisercraft's beautiful "Wildflowers" collection. This Challenge ends on Thursday, the July 6th, 2017, at 11:55PM European Time. Please, take in account the different time zones - you will find the Date and Clock on the top left of the S4F blog. I hope you can join us for this challenge! OMG!!! My My My Carrie - what FABULOUS talent you have!!! WOW! This is IMPRESSIVE! How beautiful! The touches of jet black really pop!